For many travellers trip to Barcelona means a chance to taste best Tapas in the city. A voyager taste not only historical areas of the new city but also food and drink. In Barcelona food and drink means much to tourists. In our previous articles we mentioned about what is tapas and best tapas places in Barcelona. Here we will try to recommend a local place to eat best tapas in the city. Bar La Plata which is a local tapas restaurant hosts many visitors from all around the world. The menu of the restaurant is limited but you will find the best! If you are a tourist who likes authentic places or food then Bar La Plata is perfect match for your appetite. 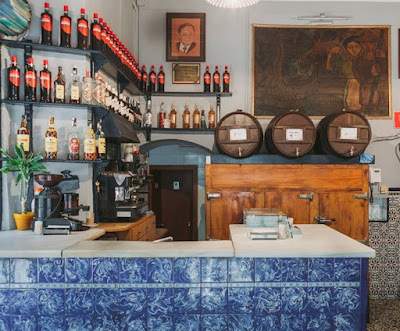 Many famous stars such as Daniel Brühl who visited the restaurant before are looking forward to get a seat at this small restaurant in Barcelona city. It is located at the city centre, Barri Gothic. Prices are reasonable also. There are five tapas and ''pescaditos''small fried fish is the best one that we can recommend. 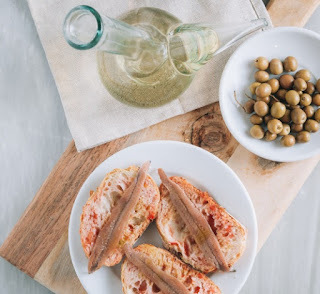 You can choose tapas with anchovy or sausage. For travellers a boquerones plate, sausage bread, salad with fresh tomatoes and onion can be a perfect menu if you like fish. Bar La Plata is a warm, local, small and best tapas restaurant in Barcelona that you may come across. The restaurant was chosen best according to ABC newspaper. So enjoy the food and drink in Barcelona. Stay tuned with Barcelona city guide not to miss the best food and drink in Barcelona. Here below you can find a video of Daniel Brühl who visited the restaurant before. Thanks for the video. Please check the map before you visit the restaurant.